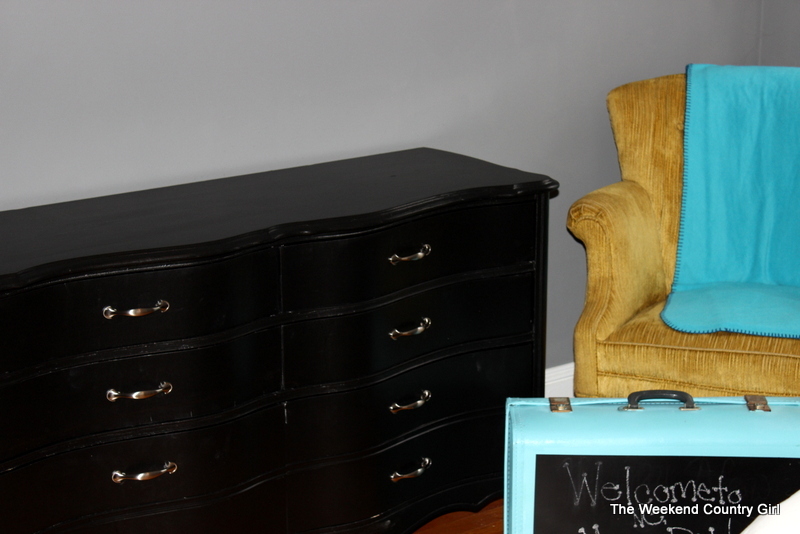 For Christmas Hubby and I gave The Southern Belle a dresser we had redone. 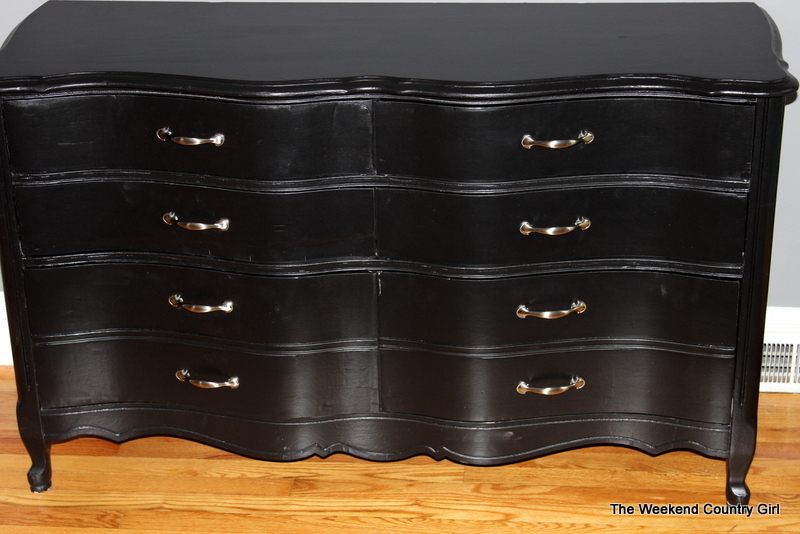 It was a smallish French Provincial style dresser with great legs and shape but had the worst hardware and paint job ever. It has been staying at our house just waiting for a ride to North Carolina. It is now installed in the guest room and has already started to fill up with wedding stuff. Thank you for the sweet welcome. 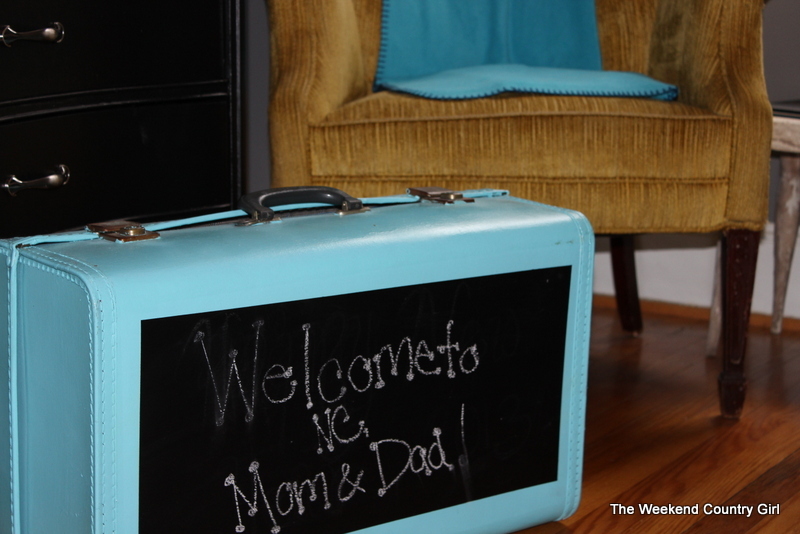 It is great to see the chalkboard suitcase being used. The Southern Belle may be way more classy than me, but she is still a junker at heart. That chair came from the side of the road and the milk stool did too! I am glad to know that she still has my genes in her.